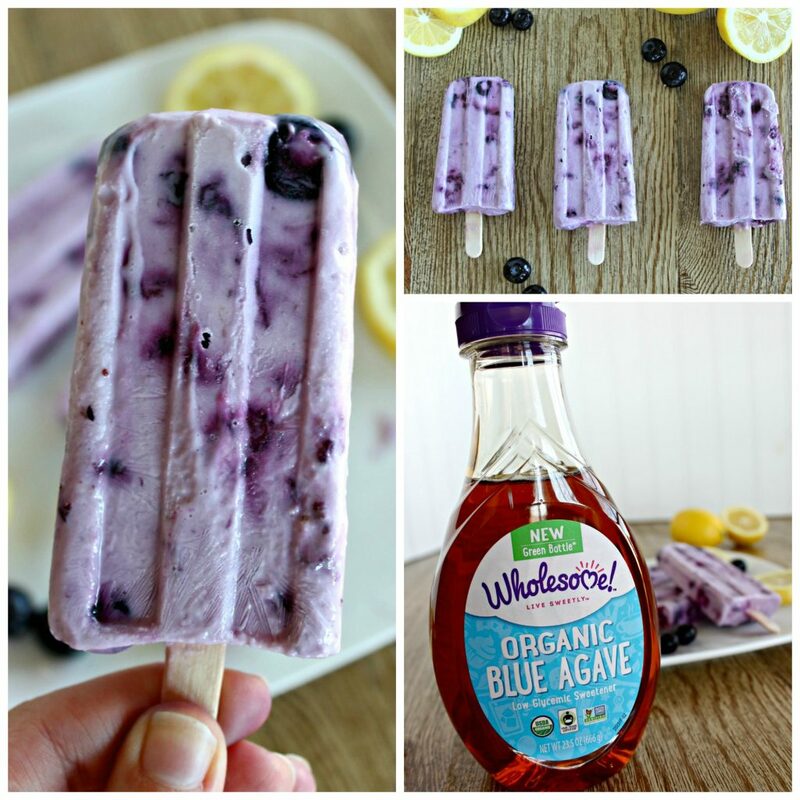 These Creamy Blueberry Lemon Popsicles are so creamy and delicious, you will go crazy for them. They are the perfect way to keep cool this spring and summer. This post is sponsored by Wholesome!? but all opinions are my own. It is almost summer and we are ready for the warm weather. When we were little we used to sit on our hot driveway in the evenings and eat popsicles while the sun went down. This would happen at least once a week and it is still one of my favorite memories. I’m ready for the weather to be hot enough to do that again. So while we wait, we are just going to make popsicles. 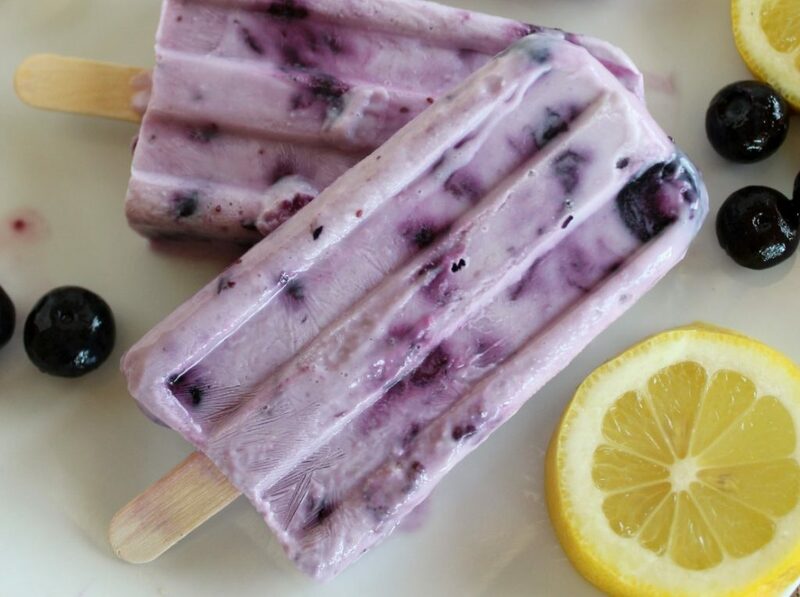 And not just any popsicles, Creamy Lemon Blueberry Popsicles. I’ve sweetened these up with Wholesome!® Organic Blue Agave Sweetener (instead of sugar) and it makes them taste delicious. 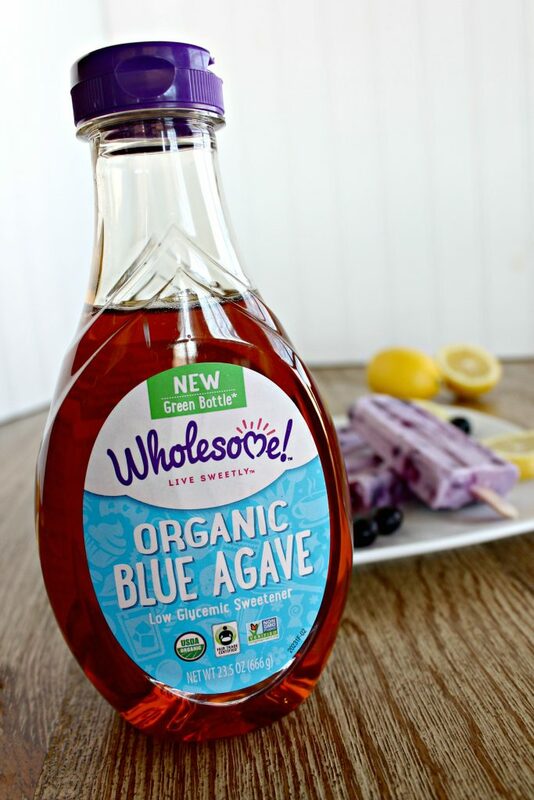 Wholesome!® Organic Blue Agave Sweetener is a natural low glycemic sweetener that is perfect for sweetening beverages, oatmeal, pancakes, yogurt, cereal, smoothies or wherever else you use sugar. I personally love it on waffles and in cookies. You can simply substitute 3/4 of a cup agave for 1 cup refined sugar. You can find more tips and recipes using Wholesome!® Organic Blue Agave Sweetener, here! 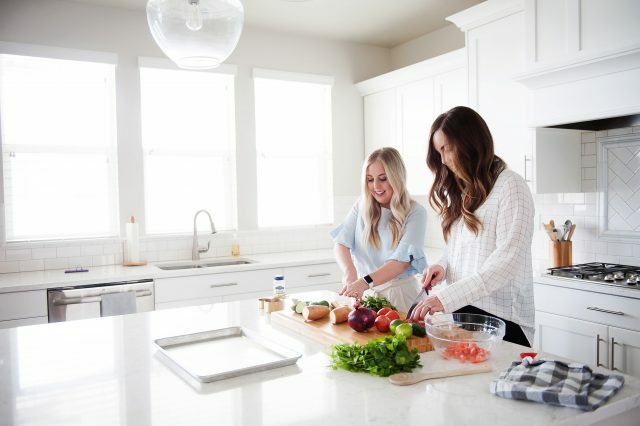 My sisters, Lauren and Elyse have made the most amazing recipes using Wholesome!® Organic Blue Agave Sweetener. They are: Easy Lemon Cheesecake and Dark Chocolate Sorbet. Wholesome!® has an entire line of sweeteners that are all non-GMO and completely organic. It is really so easy to switch out your processed sugar for Wholesome!® Organic Blue Agave Sweetener in all your favorite recipes. Go HERE and scroll down to cooking tips to find how to make your treats taste delicious and sugar free. what other fruit would be good with this? If you are not a blueberry fan, you may want to try these first. I am usually not huge on blueberries, but my kids love them so I decided to give this a shot, and they were delicious. First, preheat the oven to 350. Place the blueberries on a small sheet pan lined with parchment paper or a silicone mat. Roast for 20 minutes, just until the juices oozing from the fruit start to thicken. Watch them carefully or it will burn. Take them out and smash some of the blueberries with a fork while they are still hot. Then let them cool completely. 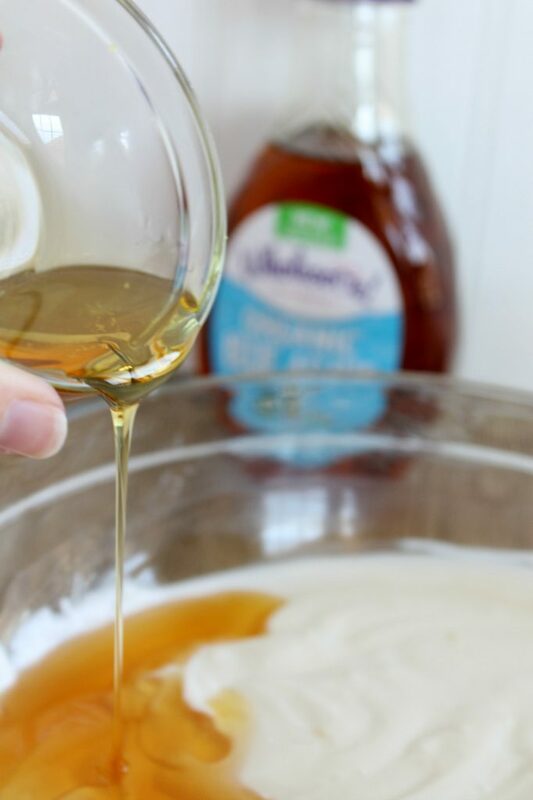 In a medium bowl, stir together the Greek yogurt and 4 Tablespoons of Wholesome!® Organic Blue Agave Sweetener. Taste, and add the additional Tablespoon if you need it a little sweeter. Add your lemon juice and lemon rind. If you want more lemon flavoring, keep adding lemon juice until you like the lemony taste. Add your cooled blueberries and slowly mix until it is combined. I didn't mix it all the way because I liked the blueberry purple swirls. Spoon your yogurt mixture into a popsicle mold. Mine made 10 popsicles. You can find the popsicle mold that I used here .